Located to the south-east of Miyazaki city, Aoshima is a resort area, the center of the city’s surfing scene, and one of the best swimming spots in the prefecture. Right off its shore is Aoshima, a tiny island just 1.5 km (0.9 mi) in circumference. 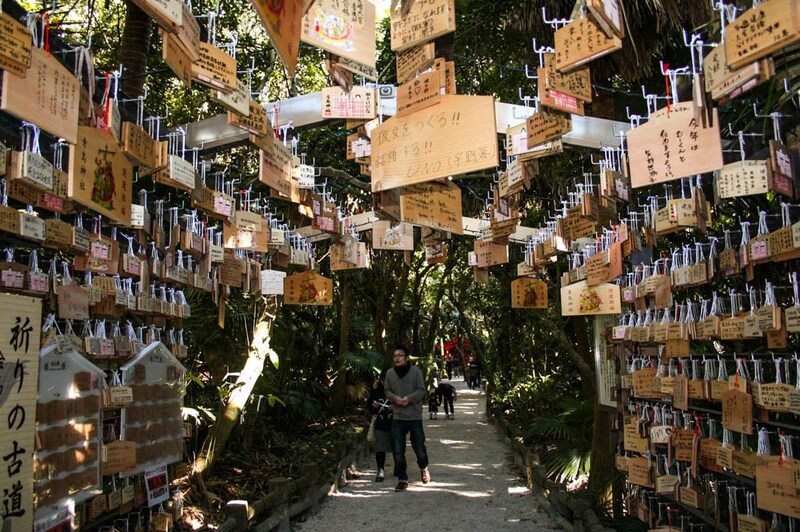 At its center, a subtropical forest guards a colorful shrine believed to bring luck to married couples. Aoshima-jinja is also where the annual Naked Man festival takes place, a purification ritual that first sees men and young boys strip down and take a dip in the surrounding ocean’s icy January waters. 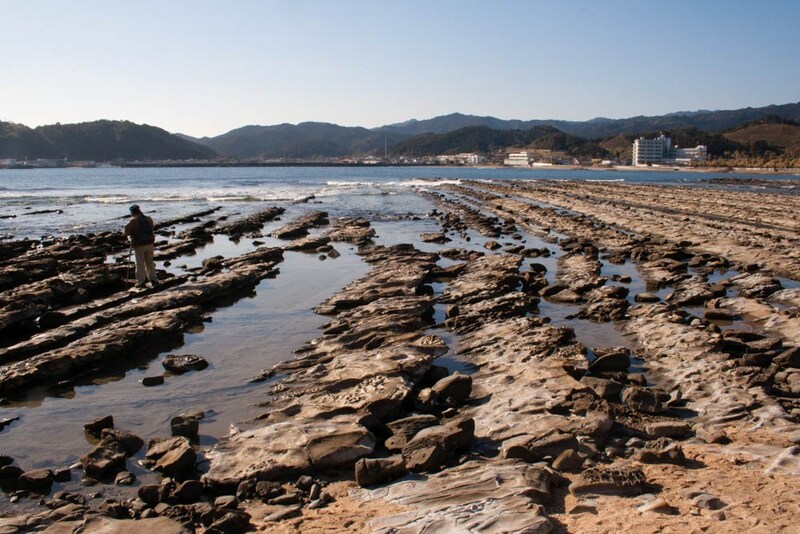 The island is also home to a lighthouse, a beach bar, and the geological phenomenon known as oni-no-sentaku-ita, or the Devil’s Washboard. Straight rows of basalt rock formed by erosion can be seen surrounding the island at low tide, and further south along the coast as well. 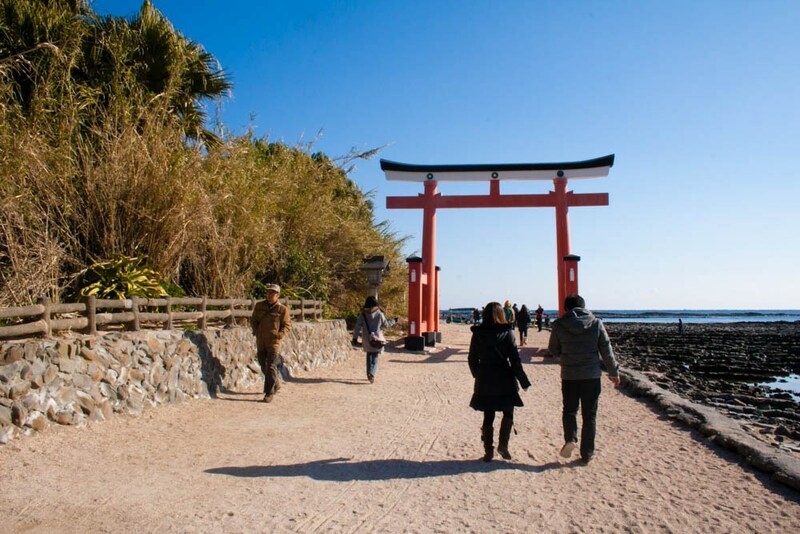 Connected to the mainland via the arched Yayoi Bridge, Aoshima Island is particulary popular in the summer when people visit the nearby Aoshima Beach. During the spring and summer months, the newly formed and hugely popular Aoshima Beach Park is open to visitors, offering a range of pop-up shops and restaurants, water sport facilities, yoga classes and live music events. 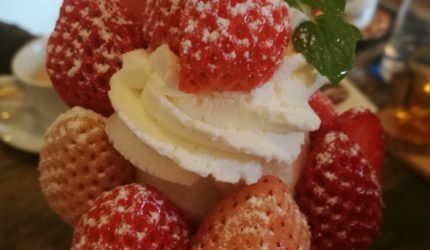 The street that leads from the main road down to the beach is dotted with ice-cream and kakigori vendors, souvenir shops and places to eat. 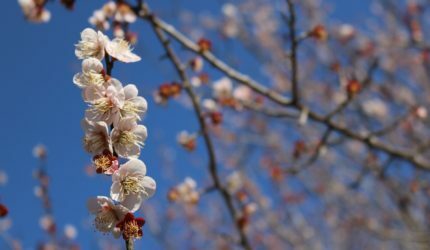 It also leads to the Miyako Botanical Garden, which hosts a variety of events throughout the year, boasts a greenhouse, and is a great sport for a picnic or short walk. It also has a café and offers bicycles to rent. Just 5 km (3.1 mi) to the north of Aoshima is Kisakihama Beach, a popular spot surfing, body boarding, wind surfing and paddle boarding. About 2 km (1.2 mi) south of Aoshima is Shirahama Beach and an auto camping ground.